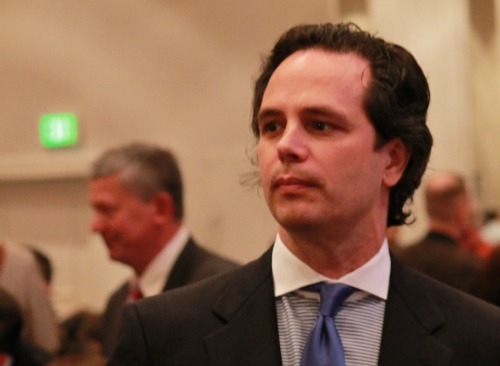 CAGOP CONVENTION | On his next to last day as chair of the California Republican Party, Tom Del Beccaro was wistful. When he spoke to the gay sliver of the party’s conservative coalition, the Log Cabin Republicans, he was downright tearful. The party’s wholesale rehabilitation will likely include raising its profile among minorities in the few years, but its small cadre of gay and lesbian conservatives still live in the shadows of a national political ideology that routinely demonizes its struggle for equality. However, the group had an ally in Del Beccaro. Posted in California GOP Convention, Log Cabin Republicans, Republicans, sacramento, Tom Del Beccaro. Bookmark the permalink.